The Richmond Public Relations Foundation, the 501(c)(3) charitable arm of PRSA Richmond, awarded three $1,500 scholarships to area college students during the chapter’s annual Past Presidents luncheon held Nov. 28. 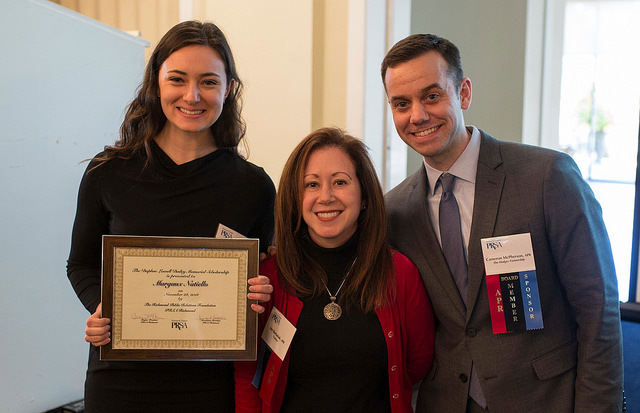 The Richmond Public Relations Foundation funds its annual scholarship program through donations from PRSA members and the community. Donations are tax-deductible.